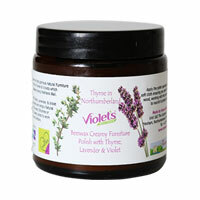 Based in tranquil Northumberland only the very best natural ingredients are used in Home Scents products. Pure essential oils give products the most delightful scents. Natural minerals and botanicals are carefully blended to give you the option of a safer home environment with the added bonus of glorious scents. These products really do work, are totally free from harsh chemicals and all ingredients come from sustainable sources, are biodegradable and kind to our environment. Based in tranquil Northumberland, Home Scents has been featured in such magazines as Country Living , Green Parent and Good Housekeeping. Janey Lee Grace has also taken the ranges on to The Wright Stuff television show and has included them in her latest book, " Imperfectly Natural Home." All of which has put Home Scents well and truly on the natural products map.